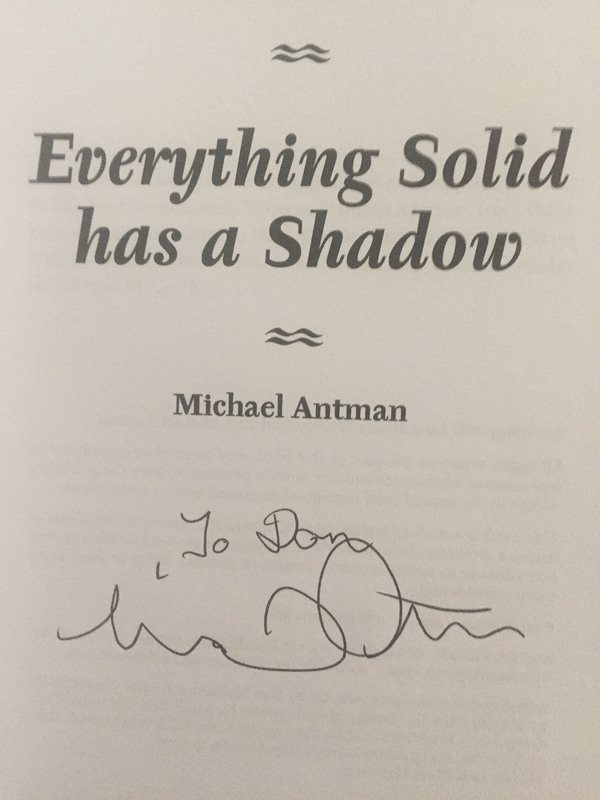 Michael Antman’s debut novel, Everything Solid Has A Shadow, is a kind of coming-of-age story for an everyman hero whose troubling past has stymied his maturation. The novel darts between the mental and physical, past and present, dream state and reality, as Charlie Alessandro attempts to solve the cold case at the core of his identity. Doing so might allow Charlie a path to a healthier adult existence. Charlie looks and acts and talks like a well-adjusted young man—good job, pretty girlfriend, artistic aspirations—but he’s not. He fears he’s “cracking up.” His deep-seated problems began when he and a neighbor friend, then eight years old, shirked their babysitting duties, with a dead infant as the result. His family returned to their native Argentina in shame, but were back in Chicago not many years later, to resume, in somewhat undramatic fashion, their old lives. Now an adult, Charlie doesn’t blame himself, not really—he was only eight—but he recoils from feminine criticism, and he fears becoming a father, and he blocks out emotionally-charged events, and he struggles to forge lasting relationships. He’s a realist, and knows, intellectually, that no eight-year-old should have been put in the position to care for a baby. Still. 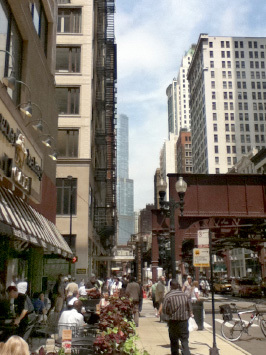 Chicago is the scene of the crime (accident, in this case), and that is where Charlie begins to assemble his clues. Though Charlie never saw his friend Willa after her baby sister, Elizabeth, rolled out of bed to her death on their watch, she remains in his thoughts. Charlie’s mom and dad are back in Argentina, assuming the role of long-distance burdens, his father periodically sending out flares when crises related to excessive gambling and drinking get especially difficult. The novel is divided into three parts, each representing a romantic partner: Alisa, Willa, and MariAngela. Conflict presides over each of the three relationships, but they’re not so much separate ordeals as part of the puzzle Charlie needs to solve to become whole again. Charlie’s mundane life—his girlfriend Alisa is fine, his advertising job is fine, his musical side gigs are fine—gets upset when his waitress friend MariAngela seemingly walks right into his skull. Coincidental to sharing his dream, Charlie learns that MariAngela has been diagnosed as having the horrific and deadly disease, ALS. MariAngela is the first in a series of sidekicks that Charlie unwittingly enlists in his quest to get to the truth of his own existence. There is also Dr. Nemerov, a brilliantly blunt psychiatrist, and eventually Willa and Willa’s older sister. Alisa is also a partner, even if her time as a girlfriend fits Charlie’s long-established pattern of short-lived. Ultimately, this is a story about self-reflection, only it balances external and internal events in the manner of a good mystery. Charlie is seeking to solve the mystery of himself. Doing so positions Charlie to become a better man, especially as regards the people closest to him. The success of this novel relies on its strong narrative voice and expert pacing. Charlie tells this story like he’s telling a story, and creates the impression that he’s figuring out all its elements along the way. This is a difficult literary device to pull off, but when done well, as here, it forges a bond between reader and narrator. The title is yanked from an object Charlie found in his rental house, namely a dollhouse the owner presumably constructed for his children and which leaves the illusion of a shadow. This metaphor subtly guides the reader as the author expertly lays down tracks for a page-turner that also engages the reader in deep metaphysical exploration. Charlie’s methodical charm and wit offset his dives into fear, sadness, and desperation. This is not a joyous story, but it is told in such an engaging way as to make confronting mortality seem like a game you can win. Everything Solid Has A Shadow merits a place on my Chicago bookshelf because I loved the characters (most of all Dr. Nemerov), and it made me laugh, and I wanted—needed—to know how this all turned out. I found myself, even after a second read, going back to the book’s ideas, and that is a sure sign that a novel has lasting value. SIGN UP to be notified when Don adds a new entry.